User accounts are used for access to the College of Engineering network hosts and services. There are six types of accounts: undergraduate, graduate, faculty, staff, funded research, academic project, and non-engineering accounts. The accounts are created on the premise that once a user has an account, that account will be active as long as the user is enrolled in or employed by the College of Engineering. Each account is assigned to one user. Each user may have one account for instructional use only. Additional accounts may be assigned to a user for funded research or non funded projects. No accounts are allowed to be shared. The user assigned to the account is responsible for all actions of the account. Each account will belong to at least one group. The default group will be the department group for the user, or the project group. Additional group membership may be obtained for work groups, projects, etc. An undergraduate account can be upgraded to a graduate account if the student is accepted into the College of Engineering graduate school. It is, however, the responsibility of the student to request the upgrade. Undergraduate students in engineering may be assigned an account for instructional use. All undergraduate files are deleted between quarters. It is the responsibility of the undergraduate user to backup and restore needed files. Network Services provides easy access to tape backup systems for this purpose. Graduate students in engineering may be assigned an account for instructional use. Disk space for each graduate student is provided by the respective academic department. File maintenance is the responsibility of the users in that department. Proposals for additional disk space should be made to the respective department head of computer coordinator. Engineering faculty may be assigned an account for instructional use. Disk space for faculty is handled in the same way as graduate disk space -- see above. Engineering staff members may be assigned an account for instructional and administrative use. Disk space for the staff is handled in the same way as graduate disk space -- see above. Funded research accounts may be assigned to researchers and research assistants for research related use. There are charges for research use of services provided by Network Services. Contact the Network Services office for a current charge schedule. Academic project accounts may be assigned to College of Engineering faculty, staff, or students for non-funded academic use. Accounts may be created for Auburn University students, faculty, and staff not in the College of Engineering. Such accounts may be required for students enrolled in engineering courses which require the use of College of Engineering network services. Non-engineering faculty and staff with a demonstrated need will be allocated an account. Accounts have five distinct states of existence. These states indicate the activity of the account from its creation to its deletion. a unique username (also called userid). The username may be assigned based on an algorithm developed by the Division of University Computing. The assigned username may not be subsequently changed. The user information sheet is printed for each account upon its creation. The user information sheet contains the username, password, e-mail address, location of the home directory as well as other information useful to the novice user. The user information sheet must be picked up from Engineering Network Services and a signature is required. 1.2. the account is found to have been used for activities that violate any portion of this policy. Active accounts are changed to the pending delete state prior to deletion. The pending delete state is an intermediate step between an active account and a deleted account. In the pending delete state, all network access will be denied and electronic mail addressed to the account will be returned to the sender. Some files may be archived and deleted. An account may be reactivated from the pending delete state. When an account is deleted, the username will be considered unused and all files belonging to the user will be deleted. Electronic mail sent to the user will be rejected. On occasion an account may be temporarily restricted. There are many reasons why this may occur ranging from misuse of network resources, to important information that needs to be given to the user before they attempt to login again. Upon successful login, the user will see a short message to the effect of "please see the system administrator" and the user will be immediately logged out. In most cases, once a meeting with the systems administrator is completed, the account is reinstated. Any abusive activities initiated from your account will be traced back to you and you will be held accountable. The behavior of someone with whom you have shared your account becomes your responsibility. If the abuse is such that network privileges are terminated, it is you who will suffer. It is, therefore, policy that College of Engineering network accounts are not to be shared. Each account has one user. Each user can have more than one account. But NO account can have more than one user. If users wish to share information or otherwise collaborate in a group, then the users shall use appropriate file permissions combined with optional group membership to share data. Perhaps the most vulnerable part of any computer system is the account password. Any computer system, no matter how secure it is from network or dial-up attack, Trojan horse programs, and so on, can be fully exploited by intruders who can gain access via a poorly chosen password. It is important to select a password that is not easily guessed and to not share the password with ANYONE. DON'T use other information easily obtained about you; this includes license plate numbers, telephone numbers, social security numbers, the make of your automobile, the name of the street you live on, the room number or building in which you work, etc. Users should change their password periodically, usually every three months. Changing your password periodically will frustrate even the most patient intruder. It is your responsibility to change your password. To change your password, click on the appropriate icon on your PC desktop or point your web browser to https://imapssl.eng.auburn.edu/passwd.php3. This will prompt you for your old password and then your new password. The current password program will force you to use an uppercase, a lowercase and a numeric or symbol character. If the change has been accepted, you will see a message saying something to the effect of "password change successful". At this point, your password has been changed. Note that the passwords are updated across the network only once every 10 minutes. Therefore, it may take up to 10 minutes for the change to appear at your local machine. 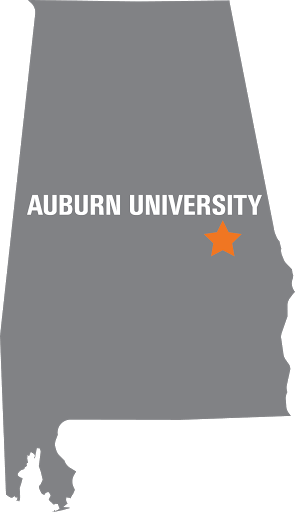 The application for new account requires that the user sign an agreement stating that the user understands and will abide by all policies regarding the use of the Auburn University College of Engineering network. Many times users need to work together on projects. If a group of users wishes to share data only among themselves they can become members of a new group. Any user can belong to a maximum of eight groups. Requests for new groups can be made with proper justification of the purpose of the group and identification of a user who will be responsible for who the group members will be, and the deletion of the group after the project is completed. Each file is owned by a user and a group. To allow group access to a file, the file must have group permissions on, and be owned by the target group. To change permissions use the command "chmod"; to change the group owner use the command "chgrp" (the group owner can only be changed by user owning the file). Sometimes users forget their password. If this happens, a new password can be generated for the account. The Request for New Password form requires proof of enrollment/employment and photo identification (preferably a student or employee ID).